Column: does Maya Moore news symbolize end of Lynx dynasty? Father (or in this case, mother) time is undefeated. As they are maxims in life, they are also maxims in sports. The decade of the 2010s will always be looked at in the history of women’s basketball as the decade of the Minnesota Lynx. Four championships in seven seasons with virtually the same group of core players intact throughout that impressive run. The four championships tied the WNBA’s original dynasty – the Houston Comets – for most titles in WNBA history. Lynx fans are used to seeing their team bring WNBA championships to the Land of 10,000 Lakes in even numbered seasons. That alone would have meant a title in 2018 would be bucking a trend. But 2018 by Minnesota standards was more trying than the usual non-championship season. The Lynx finished 18-16 and were eliminated in the first round of last season’s playoffs by their arch rival Los Angeles Sparks. 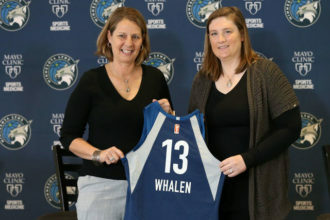 Lindsay Whalen was transitioning to her new role as head coach of the women’s basketball team at the University of Minnesota while playing her final season with the Lynx. And in recent news that sent shockwaves throughout the WNBA community, it was reported that Maya Moore, who had been at the center of Minnesota’s odd-yeared, 2010s dynasty, intended to sit out the upcoming 2019 season. The timing of the news was interesting because it came days after the Lynx had “cored” (aka the WNBA’s version of the franchise tag) Moore. 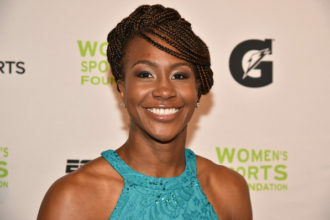 DeWanna Bonner and Tina Charles were also cored by the Phoenix Mercury and New York Liberty, respectively. 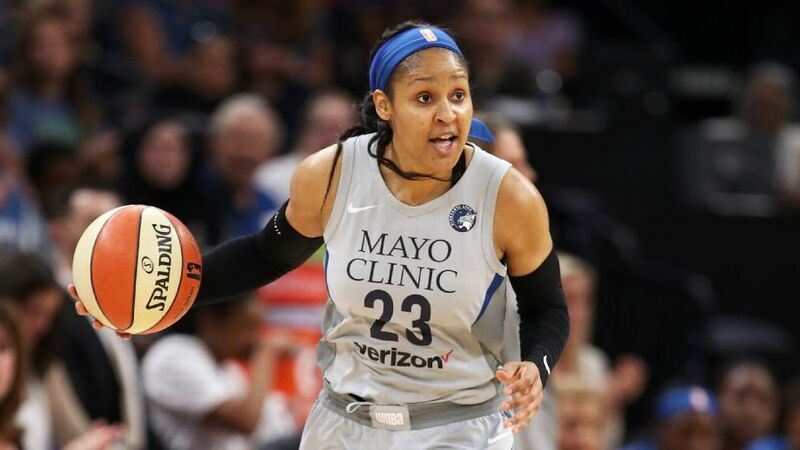 Maya Moore reportedly wants to sit out the 2019 WNBA season, get traded from the Lynx or retire. If this is true, then the conclusion most may come to is that her time in Minnesota has come to a close. Who knows – she too may be reading the tea leaves and noticed last season when a bunch of other teams surpassed the Lynx to the top of the W’s food chain. The worst-case scenario for the Lynx is that it does indeed feel like the end of the Minnesota dynasty. 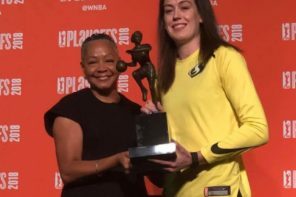 Whalen’s gone, Moore appears to have at least one foot out the door, and as great as Sylvia Fowles, Rebekkah Brunson, and Seimone Augustus are, they are not getting any younger either. If this is the case, the questions will be abound as to which team will take Minnesota’s place. 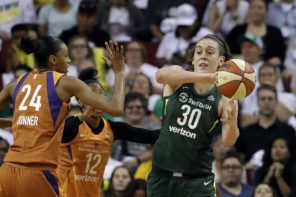 The logical answer after last season would be the Seattle Storm, but who knows what the Storm would look like long term sans Sue Bird, who has won three championships throughout her career in Seattle. Perhaps the Connecticut Sun could be a possibility if they are able to keep their young core together for the long haul. To many basketball fans, though, this may not be much of a surprise that Maya Moore wanted to potentially sit out the 2019 season ala Angel McCoughtry in 2017. When the All-Star Game took place in Minneapolis last year, she was not as heavily involved as was originally advertised. She did win her third consecutive All-Star Game MVP, but she was also expected to take part as one of the team captains with the game undergoing a new format as opposed to the traditional East vs. West slate. She also did not participate with Team USA when they traveled to Spain for last year’s FIBA World Cup – which the Stars and Stripes still won. It appears crystal clear that the wear and tear of so much basketball play year-round has taken a toll on the four-time champion. If anyone deserves a rest from all of the hustle and bustle that is women’s basketball, it is Moore. And if this is, indeed, the end of Moore’s career with the Lynx, Glen Taylor already needs to be working on building a statue of her outside Target Center. And who knows – ala McCoughtry, she may come back rested and refreshed in 2020 stronger than ever. But the news involving Moore may just indeed signify not only a transition for the future Basketball Hall of Famer herself, but also for the WNBA as a whole. A WNBA that no longer has to look its eyes north to see “whose house” it is.